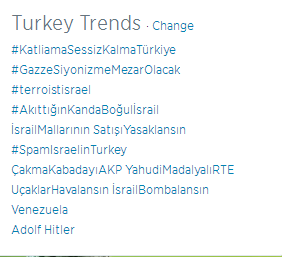 As of 6:30 pm Top 10 Twitter trends in Turkey are about Israel’s assault on Gaza. Chilean congressmen show banners calling for the end of genocide and occupation of Palestine. Image widely shared on Twitter.